To Start with…What Exactly are Whiteheads? Hey, gang! Maggie here with another skincare article. Before I get into the best ways of preventing whiteheads from forming, let me first briefly explain exactly what these little facial nuisances are. This skin affliction is one that is closely linked to acne. In fact, these nuisances technically are actually a mild form of this bacterial infection. They appear in the form of smallish, white bumps on our skin’s surface. Are known as pimples, you’ll be glad to hear, that they are completely benign in nature. It’s very, very rare that this ailment will cause any actual health issues so at least that’s one thing to not have to worry about! Despite the above, pimples are still something that most people dread the sight of. Whenever these little bumps appear we cannot help but groan in annoyance. Even the most confident, self-assured person will be vexed by the sight of such a skin blemish. Why? Well, because they look so unseemly!! We become fixated on these annoying red lumps and will literally try anything to get rid of them. I’m speaking from experience at this point. However, before I get too gloomy, let’s change tact and look at why whiteheads form in the first place. For a more thorough review of everything to do with acne vulgaris, please refer to our relative guide, or have a look at what we think is a premier solution to this problem. In truth, there are actually – and unfortunately – quite a number of reasons for pimples forming on our the surface of our complexion. These can range from hormonal changes in our body; allergic reactions; stress and strain of everyday life; unhealthy dietary habits; lack of an exercise regime et cetera et cetera. A key way to avoid this occurring is to incorporate a top class exfoliating routine into your health and beauty regime – especially if you have an excessively oily complexion. A common misconception that occurs in this area is that people think white- and blackheads are the same thing. Or they get the two mixed up. Yes, it’s true that both these skin ailments are a type of pimple and that both are also caused by pores being clogged. However, there is a significant difference in the two. The difference comes from whether or not the pimple is underneath the skin, or if it’s bursting through to the surface. The former would be a whitehead while the latter is known as a blackhead. This is essentially the only difference between the two, but it is a significant one. 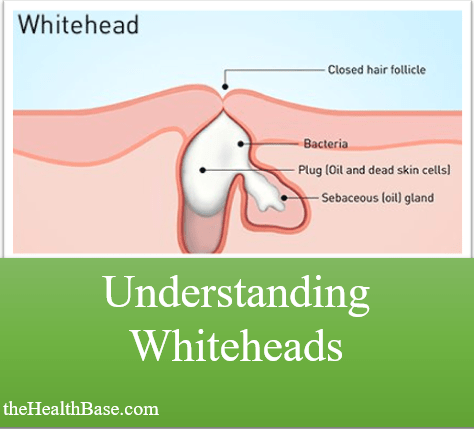 OK, now that we’ve established what exactly this issue is and why it forms, let’s look at some common myths that are associated with whiteheads. As tends to be the case with mythology, there’s quite a lot that should definitely be taken with a pinch of salt if not outright ignored! OK, this one is very much hit and miss. If you have a zit breakout on your face, then having a bar of chocolate or packet of crisps will have absolutely no impact on it whatsoever. The problem has already occurred so whatever you ingest henceforth will not matter at all. 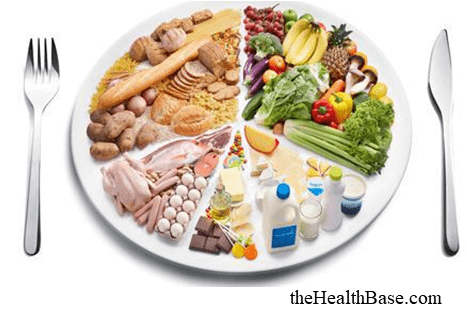 However, in saying this, having a poor diet can indeed lead to breakouts occurring in the first place. If your diet is full of sugary, greasy, processed food, then unfortunately your skin will pay the price. This is inevitable. On the other hand, it your diet is good and healthy – and if you exercise every now and again – then this will greatly diminish your chances of suffering from regular pimples. As stated in the previous section, dietary habits can indeed affect whether or not you are susceptible to this skin affliction. However, it’s important to note that your diet is by no means a leading factor. A lot of people immediately rack their brains about what they’ve eaten recently if a zit appears – thinking that some food or another is the culprit. It doesn’t really work this way. Factors like pores becoming clogged or hormonal changes are far more likely reasons why a zit might appear. These two culprits cause/are caused by excessive sebum/oil secretion which then leads to your facial pores becoming clogged. 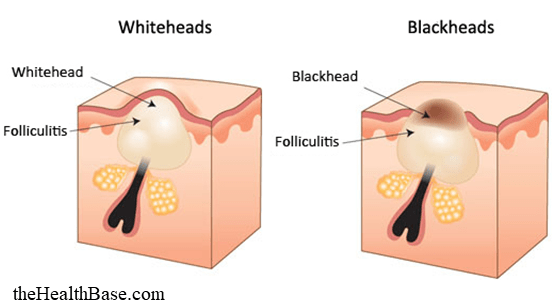 As explained before, such blockages will then result in white- or blackheads forming. The trick to avoiding this is to incorporate a healthy, workable exfoliation routine into your daily life as well as availing of a top quality treatment. Again, this is a myth that is often associated with breakouts but is also one that isn’t necessarily 100% true. As with most myths, there is some truth and some nonsense. For instance, a poor makeup routine will most definitely lead to breakouts occurring. Factors such as using bad makeup brands; using cosmetics that aren’t suited to your complexion; or, the most common one, not regularly clearing your face or body of makeup, could all very well lead to zits. Why? Because your pores will become blocked by the makeup or your skin will become irritated, depending on which of the above factors is in play. So how do we avoid this occurring? Simply by being prudent! Do your homework when it comes to buying and applying your makeup. Also, ensure that the brand your using is of a good quality and that it is suitable to your complexion type. It's also important to get accustomed to removing your makeup every night before you go to bed. Leaving makeup on while you sleep is a sure-fire way to aggravate your skin! This, yep you guessed it, is again both right and wrong. Sometimes strong treatments are indeed needed, but sometimes they will also only make the situation worse. A sole pimple, or a relatively small breakout, will not need such strong products. Instead, a milder solution will be more than proficient at dealing with your problem. It really comes down to the severity of the breakout. For more on what exact treatments you should be looking at, please check out our guide on this issue: thehealthbase.com/best-acne-treatments/. This one is just straight up false! Exposure to the sun will have two effects on a whitehead and both are not of a positive nature. Firstly, the sun will dry up the affected area which is not recommended. It’s advisable to keep a zit or the area of a breakout well moisturized as it goes through the healing stage. The sun will do the opposite of this. Secondly, and this is one that many people are unaware of, excessive exposure to the sun will cause a natural protein in our skin (collagen) to steadily breakdown. This is very key as collagen is responsible for supplying strength and flexibility to our skin – two things that will be needed if a zit is to be treated effectively and in a quick manner. Without a steady supply of collage, our bodies will struggle to repair the damage that has occurred. This can even lead to the breakout getting worse or, god forbid, scarring being left behind in the aftermath. Zits and pimples are certainly annoying and unpleasant on the eye, but they are also not permanent. They can indeed be treated and also prevented from occurring in the first place. The majority of preventative methods when it comes to this particular facial ailment revolves around common sense and leading a healthy lifestyle. However, if you're suffering from repetitive or severe breakouts then perhaps you might be in the need of a top treatment. It’s all good and well knowing how to treat a certain type of facial ailment when it occurs. However, it’s significantly more important to know how to prevent something negative occurring in the first place. When it comes to pretty much anything in life, it’s always far better to be proactive rather than reactive. Dealing with these facial nuisances is a perfect example of this. The aim of this article is show you how you can take preventative steps on a daily basis which will dramatically reduce the chances of you experiencing a breakout. Below, I have outlined the best 5 such steps that the Health Base team and I have come across during our research on this particular subject. It’s quite a natural occurrence to have excessively oily skin. Such a skin type usually can be found on a person’s forehead or perhaps their nose – this is the infamous T area that I’m sure you’ve heard of. While there is nothing inherently sinister or unhealthy with having oily skin, too much sebum can cause whiteheads to form beneath our skin’s surface. This is because an overabundance of oil will cause our pores to become blocked at a quicker rate. Too much oil on our skin’s surface can also cause dirt, dead skin cells, or bacteria to be transferred to different areas of our faces. So, how do we properly regulate this sebum production? Regularly exfoliating is the most efficient way of achieving this as this treatment works to remove any excess sebum/oil before it can cause any problems. A method that is a personal favorite of mine is to use a good face mask every now and again. Face masks work to draw out any excess oil, dirt, or dead skin cells that have filled up our pores. This is a super removal technique and an excellent way of preventing breakouts. If you’d rather prefer an exfoliation facial scrub, then take a look at the Exposed Skin Care piece which is a high level product range for oily or sensitive skin. In terms of any health, beauty, or fitness related goals, your diet is something that is so unbelievably important. The significance and impact of what you put into your body cannot be overstated – it really is the making or breaking of your physical goals. However, when it comes to understanding a diet and the body’s needs, then “you are what you eat” is not only a spot on cliché but it’s also quiet a good philosophy to live by! In the vast majority of cases, a person’s body is a pretty correct reflection of their dietary habits. The only anomalies to this occur if there is some sort of health issue going in. But, more often than not, a person’s physical look will be an accurate gauge in determining if they are properly hydrated; if they are getting enough vitamins and minerals; if they’re eating health proportions; if their diet is varied and balanced; or if they are lacking in one of these areas! When it comes to preventing whiteheads, a good solid diet is a top grade defense that should not be taken for granted. Below is a quick list of dietary “dos” and “do nots” that will greatly help boost your body’s natural ability to increase prevention. This may seem like a strange one but hear my out, it makes sense I promise. 😉 On average, a person spends 8 – 10 hours a day in bed; from sleeping, to reading, to working on a laptop. This amounts to 56 – 70 hours a week. That’s quite a lot of time! In fact, there’s no other place that you’ll spend more in during a week. And, despite this, a huge amount of people are quite bad and forgetful at keeping their beds clean and fresh. This is quite a staggering oversight if you think about carefully. It’s common knowledge that we humans shed vast amounts of dead skin cells and other substances from our skin on a daily basis – also don’t forget makeup, hair products, facial products et cetera et cetera. By not changing your bed sheets and pillow cases regularly, you are inviting all of these shedding substances to be reintroduced onto your face. This is particular important when you're attempting to get rid of back acne and avoid the scarring that naturally happens as a result of the pimples on your back. This is not a good thing as these substances will do only one thing if allowed – they’ll block up your pores and create skin maladies. This is why it’s very much advisable to change your bed regularly. 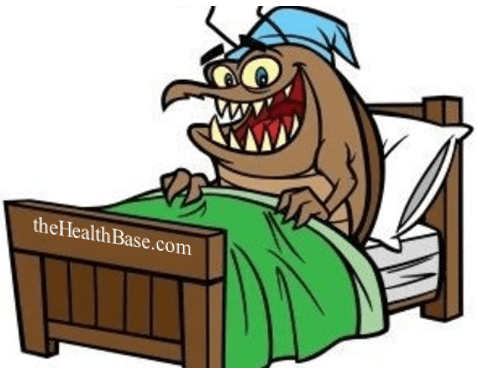 Also, dirty beds have been proven to attract bed bugs!! This one seems pretty straightforward; the last thing that you want to be applying to your face is something that’s going to clog pores and create whiteheads. However, unless you know what to look for, it can be tricky trying to figure out which products are potentially harmful. To begin with, don’t overuse facial creams such as moisturizers or toners. 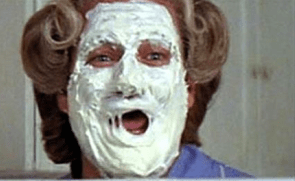 As Mrs. Doubtfire highlights in the picture to the left, piling on such creams is neither a good look nor is it beneficial for your skin’s health. These products are designed to be used sparingly and not in excess so keep that in mind. Also, if you pile on cream then it also means you’ll have to spend more money in replacing them! This will ultimately result in your wallet getting lighter. In terms of consistency, my advice would be to stay away from rich, heavy creams. They are quite thick in consistency which can be problematic for our pores. However, if you happen to like such creams, then there’s really no reason to suddenly drop them from your routine. Just be extra careful when apply them, making sure to do so in an economical manner. I’ve explained the importance of having a good healthy diet in battling the emergence of whiteheads. Well, as per usual, exercise goes hand in hand with your diet. Exercise is also a super way of keeping your skin healthy and blemish free. Generally speaking, exercise is vital in maintaining and improving the health of your body – I think everyone is aware of this!! It’s not much of a secret. 🙂 Though, in saying this, people mightn’t be all that familiar with the exact details of how exercise keeps our skin healthy. The key lies in the increased blood flow that occurs when we exercise. This increased flow causes our bodies to overheat which thus leads to us sweating. This sweating mechanism helps to remove toxins and other debris from our pores – thus limiting the chances of clogs occurring. In addition to this, when we exercise, our bodies also bring in more oxygen as our blood is pumping. This means that more nutrients are being flooded throughout our skin. These nutrients will help to strengthen our skin and improve its all-round health. So, as you can see, there are numerous ways that you can prevent breakouts from occurring. While stopping a whitehead from emerging is not always possible, the likelihood of suffering from one can be greatly decreased if you follow some of the steps that I’ve outlined above. To be honest, the best steps that you can take to tackle this particular problem – or indeed any ailment – is to possess a clean, healthy lifestyle. If you are eating well and training regularly, then you are bound to be a healthy individual. If you don’t believe me, then just take a look at the people who are in the prime of their physical lives – they positively glow with health! If you are already suffering from this issue or other spot related problems, then please check out some of the articles and reviews that I’ve attached to the bottom of this page. P.S. 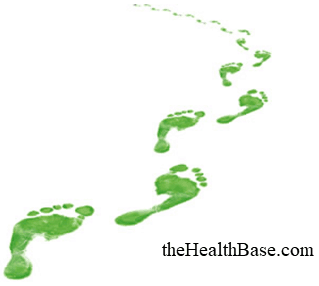 Also make sure you take a look at our complete knowledge base - https://thehealthbase.com/.